I wonder what Freud would have made of this? Two different male colleagues recommended this book to me this week. Both warned me about the cover – mentioning that it’s not ideal to read on the tube and one suggesting that I wrap it in a cover of Bravo Two Zero. I’ve only read the first chapter and I can tell that I’m really going to like it. 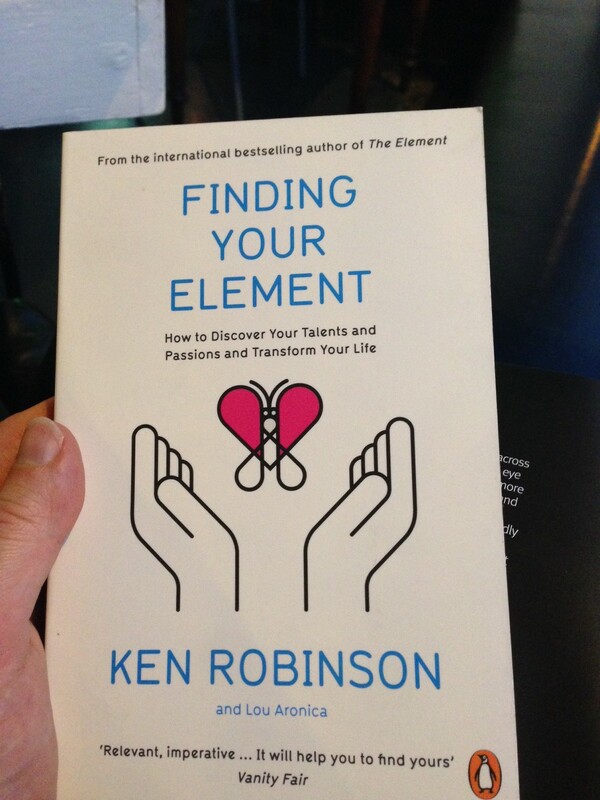 Ken Robinson has the most watched TED talk of all time and is clearly an excellent bloke. The book aims to help people find that thing that means they’re spending the majority of their time doing something that they’re really good at and they really enjoy. It sounds so simple and yet loads of people are unhappy with their lot! I think that it’s such a shame that this cover was the one they selected. It has been marketed towards women, with the knowledge that they buy self-help books and men don’t. I think it’s patronising towards women and it will put off a number of men from going anywhere near it. Men do generally have an issue with asking for help and would find reading this of benefit, so it’s a pity that they’ve been written off as potential readers.